Today, August 1st, is officially "Joan Jett Day" as proclaimed by the City of West Hollywood who's hosting the Sunset Strip Music Festival this weekend where Jett will be honored. 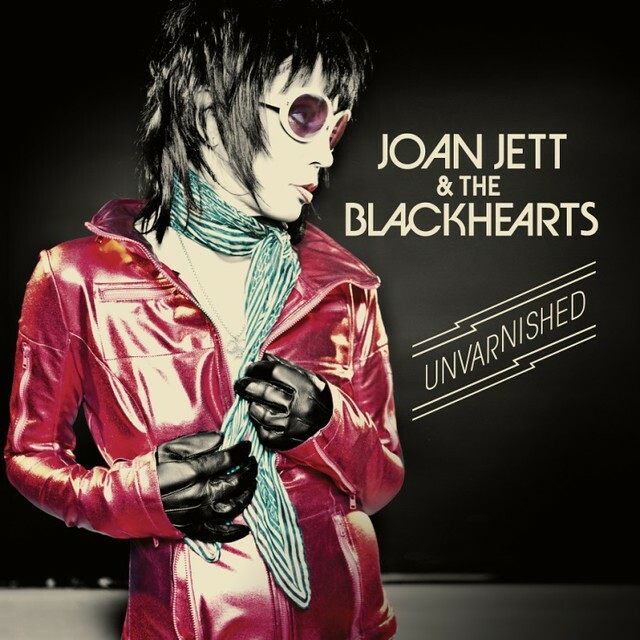 The Rock 'n Roll legend, today, also announced she's releasing her new album Unvarnished on October 1st via Blackheart Records. It'll be her first new music in over a decade. Her last album, Sinner, was released in 2006. Unvarnished will be her fourteenth studio album. Jett will perform her first single "Any Weather" next Thursday on Jimmy Kimmel Live and will be made available on iTunes on August 6th. Jett has said that Unvarnished is the most autobiographical project she’s ever done, allowing some of life’s hardest passages, such as the loss of both her parents, dictate what she wrote about. The album also broadens to other subjects, such as applauding the determination of Hurricane Sandy’s victims and lighthearted commentary on today’s trend of oversharing.